You can have the best of both worlds where style meets storage space. Incorporate a stylish design in your outdoor space that has a storage compartment that will allow you to store tools or accessories providing you comfort and practicality. Creating something on your own will give you the pleasure of creation. 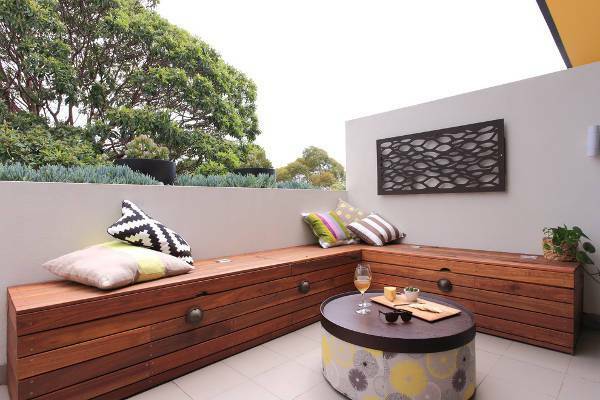 You can choose the appropriate height and then use concrete blocks to use for the base while you can insert wood slats through them to create the seat. 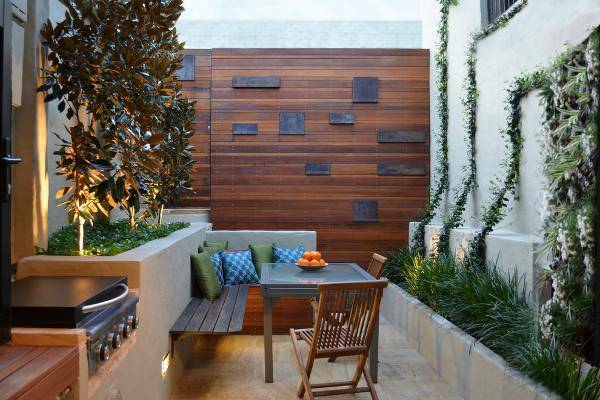 A metal design is capable to give you many styles to help you create a pleasant space. From strict minimalistic designs to vintage pieces, the variety is big enough that you will find exactly what you need to fit your needs. 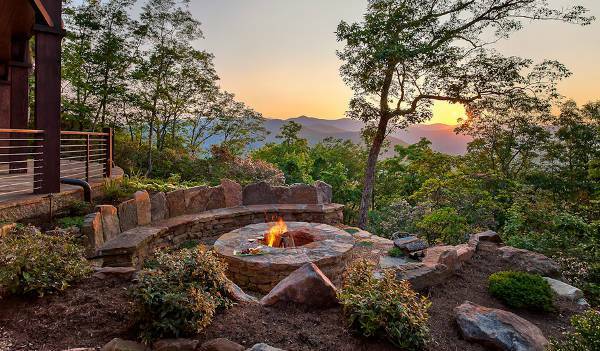 You can choose a combination of materials in order to give a unique design in your fire pit space. 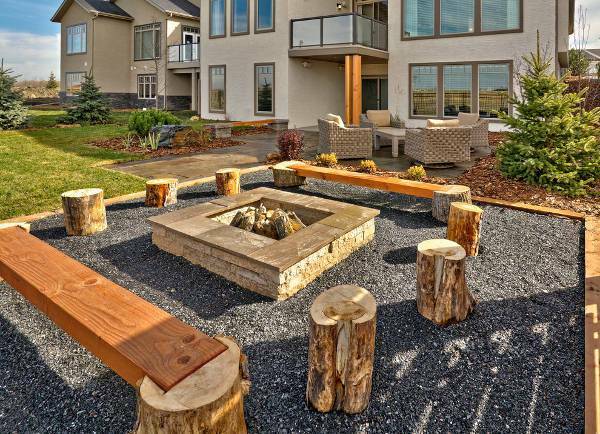 Surround your fire pit with elegant designs of wood and concrete that have comfortable seats and can be accessorized with cushions. 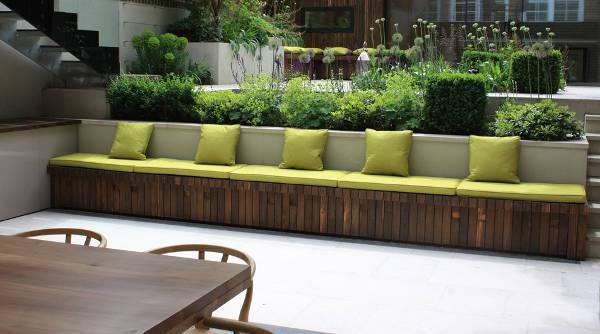 If your garden is designed after a certain theme then you should consider maintaining it with a similar styled bench. You can choose a beautiful bench with decorative elements or in a mix of materials to add some extra character. 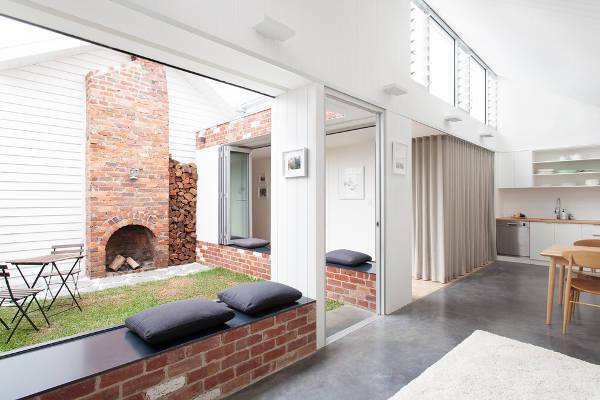 Modern spaces require style as well personality. 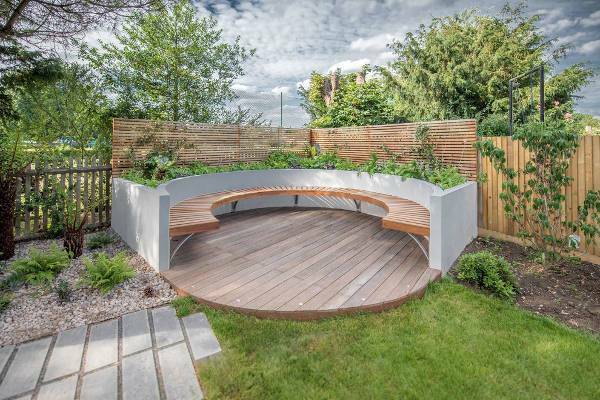 You can have both with a well designed bench with simple lines and curves. You can go for a bench that has decorative elements in order to embellish your space with modern décor. 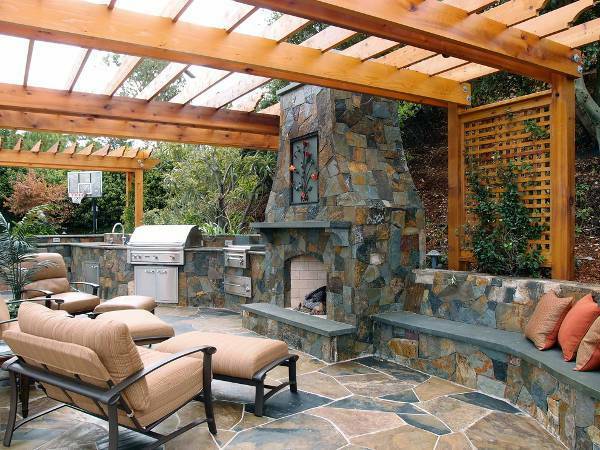 In an outdoor kitchen you can incorporate various materials in order to amplify its style. The benches come in materials like metal, concrete and wood allowing you to find the one that fits your needs while accentuating your kitchen’s design. 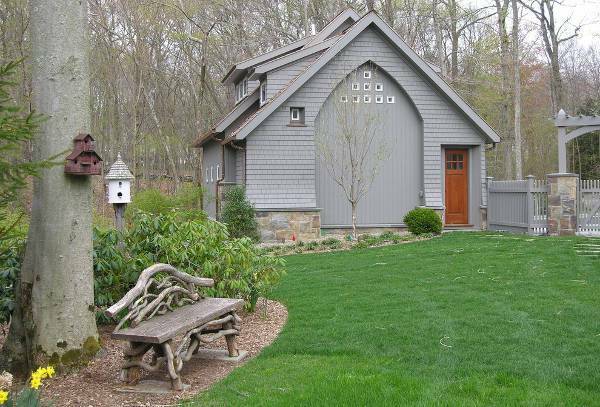 Stone benches have a classic look that can add a feeling straight from the old world. 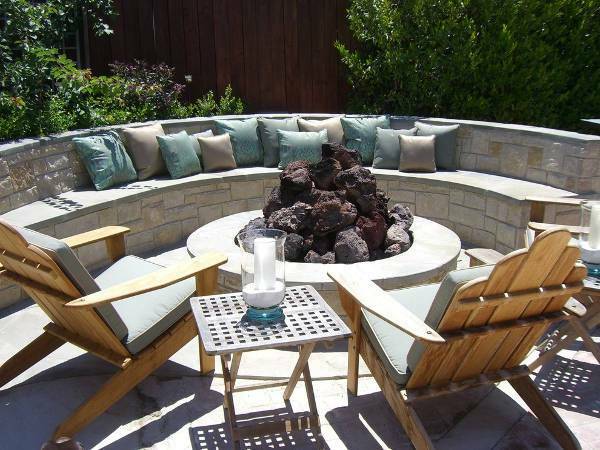 These designs have a sturdy look however you have to choose a design with weather resistant qualities. You can also find them matched with other material. 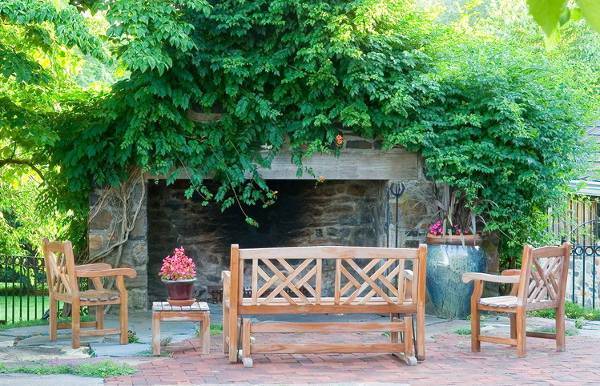 Brick benches will bring character in your outdoor space along with a sturdy design that will last you for years. 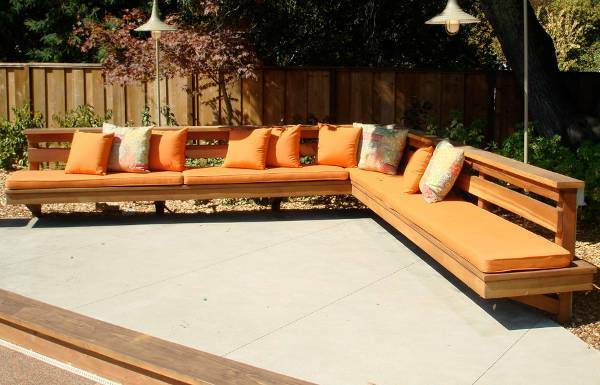 These benches can be easily built in your backyard while you can mix in other materials too like wood and metal. A small bench should be able to seat comfortably two people. 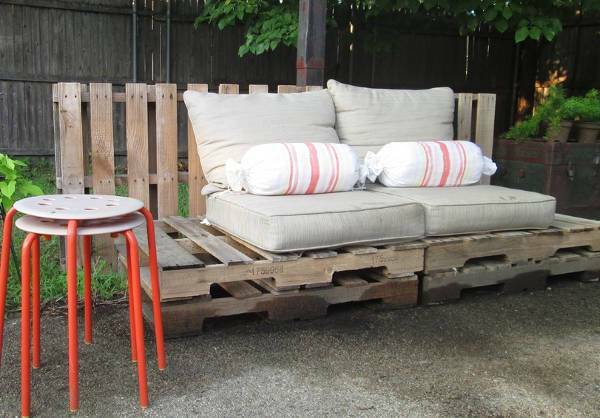 You can find them in many different materials like wood, metal and concrete. 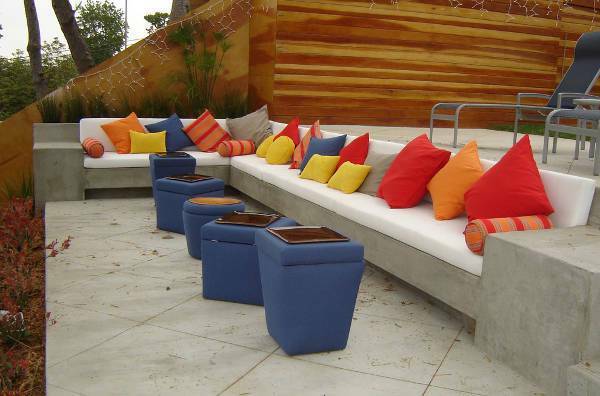 Depending on the space’s design you should be able to accessorize accordingly with cushions and pillows. 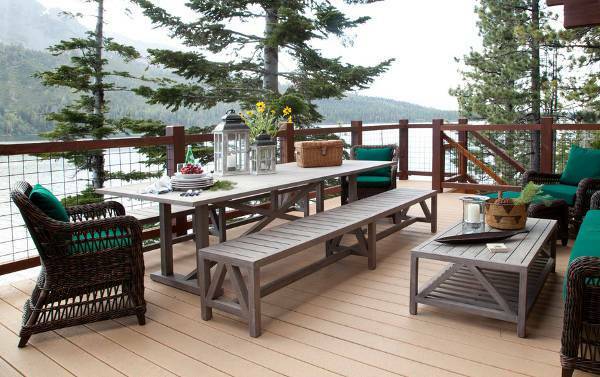 Most homeowners choose a matching material with their deck in order to create an even look. 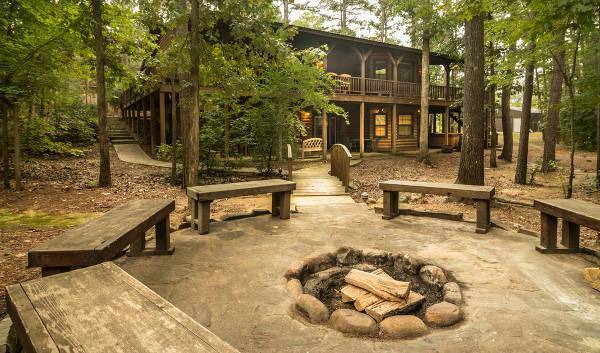 You can choose a design to match the deck’s flooring or you can bring a stylish contrast by simply choosing something a little more elaborate. 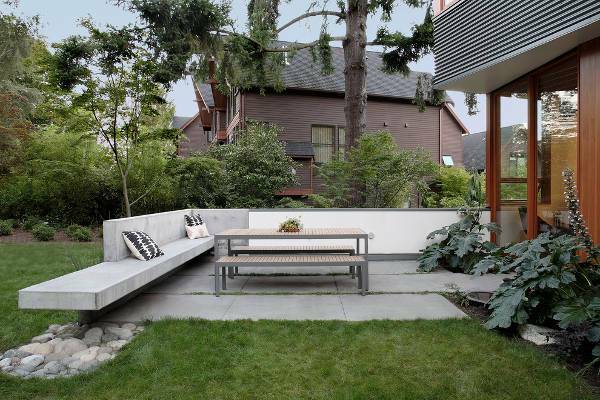 Concrete is a hard material that will allow you to add a sophisticated tone in your outdoor space. These benches can come with many different designs as well as in combinations with materials like wood bringing you the most extraordinary benches. 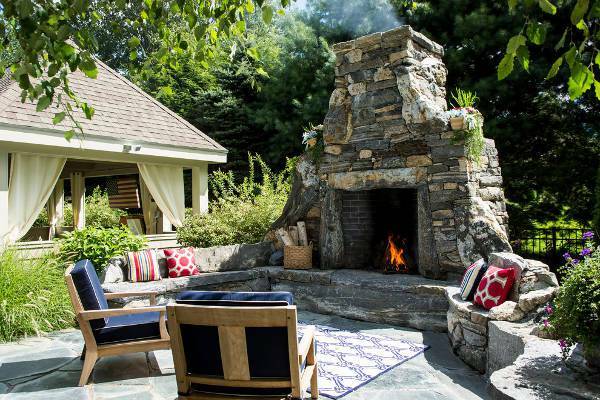 You can consider creating your outdoor space with all the aspects that appeal to your personal tastes. 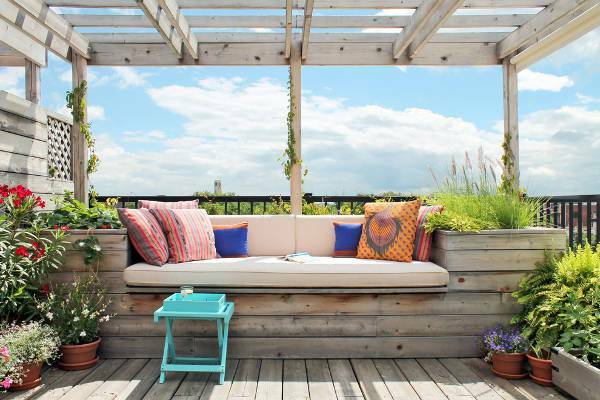 This will allow you to personalize this space with outdoor furniture as well as with accessories that will add a touch of character, pops of color and a strong combination of glamorous design.